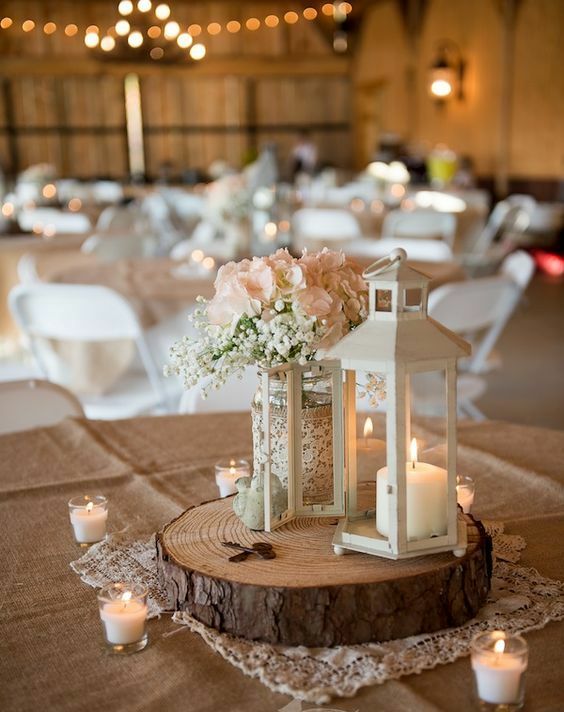 Rustic weddings are extremely popular, and even if you haven’t chosen this style, you can always add such touches for a comfy and cozy feel. 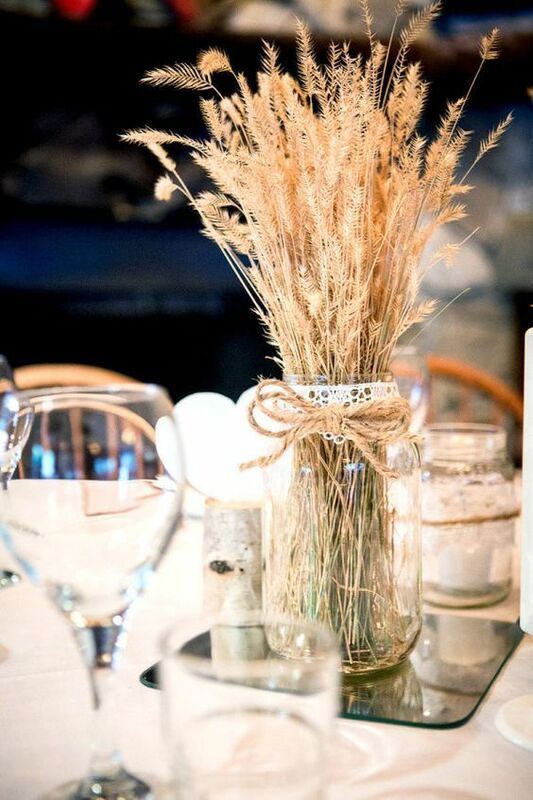 Rustic décor blends perfectly with modern, glam, vintage and industrial styles, so whatever you choose, you can always incorporate cute rustic details. 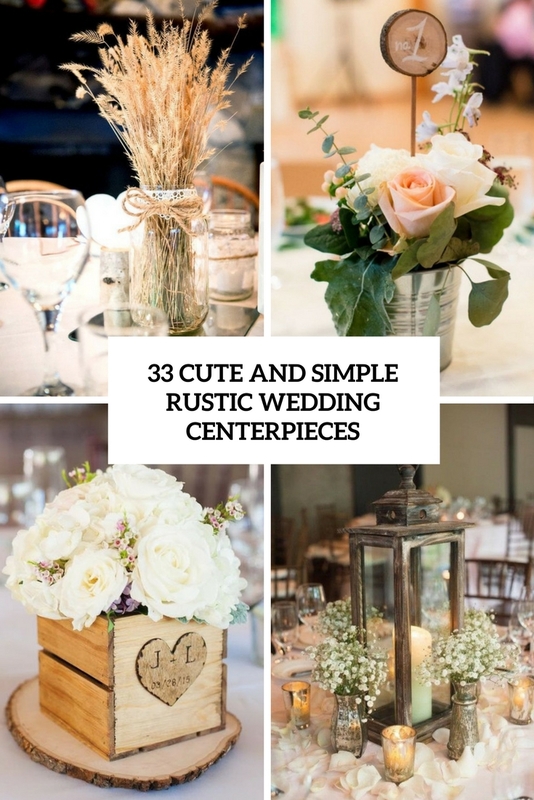 One of the easiest ways to add rustic charm to your wedding is to rock rustic wedding centerpieces, and today I’d like to share some of them to get you inspired. 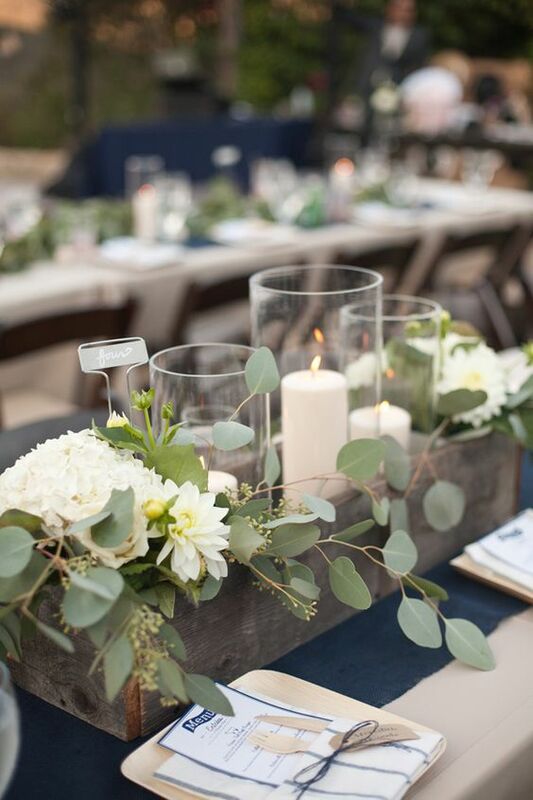 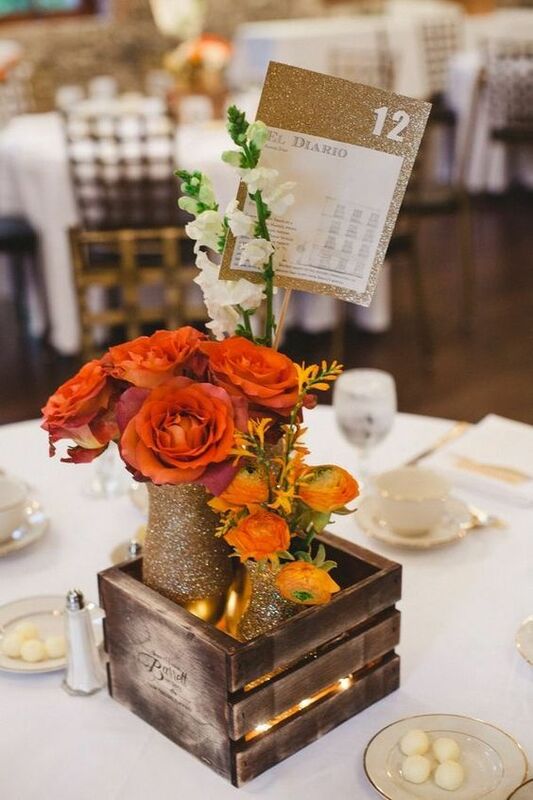 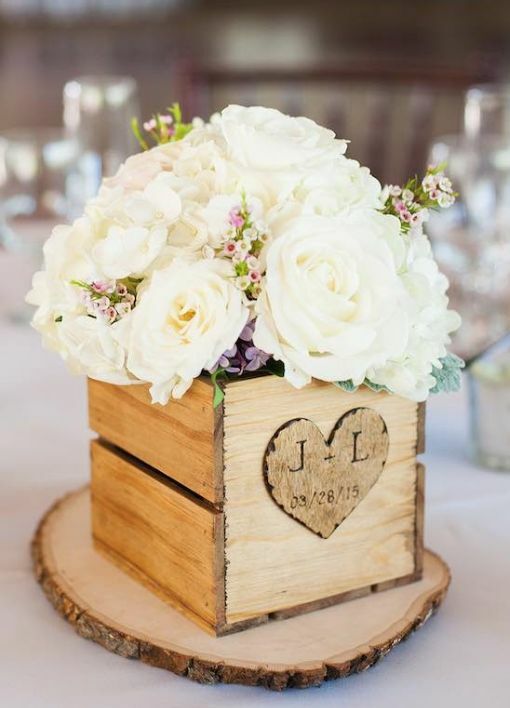 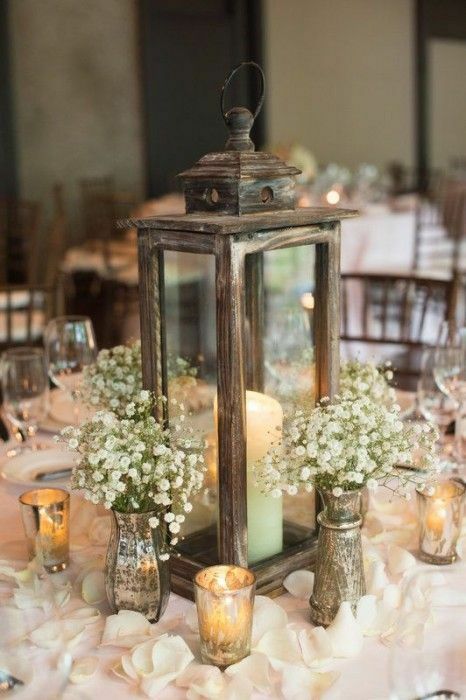 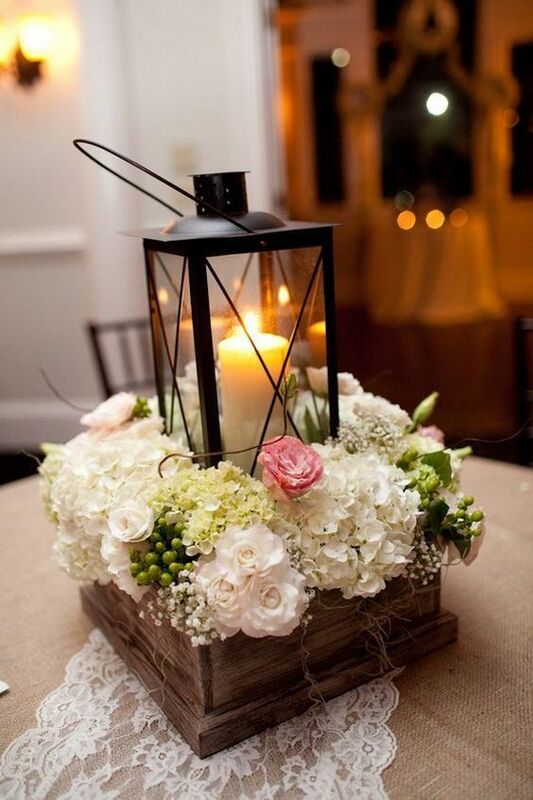 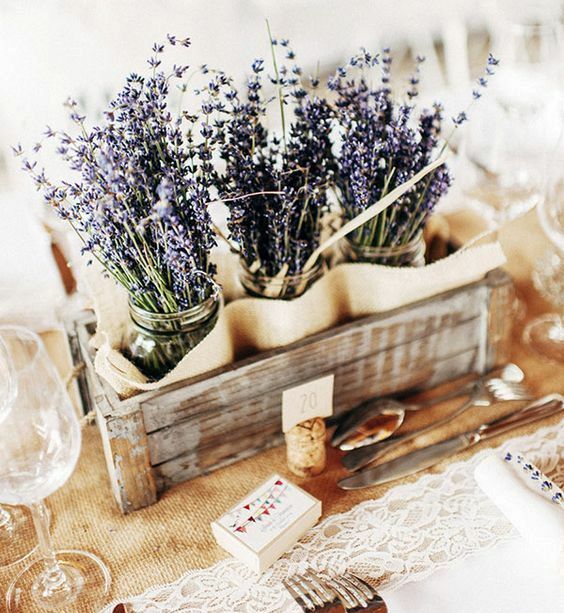 A wooden box or crate will easily give your centerpiece a cool rustic feel. 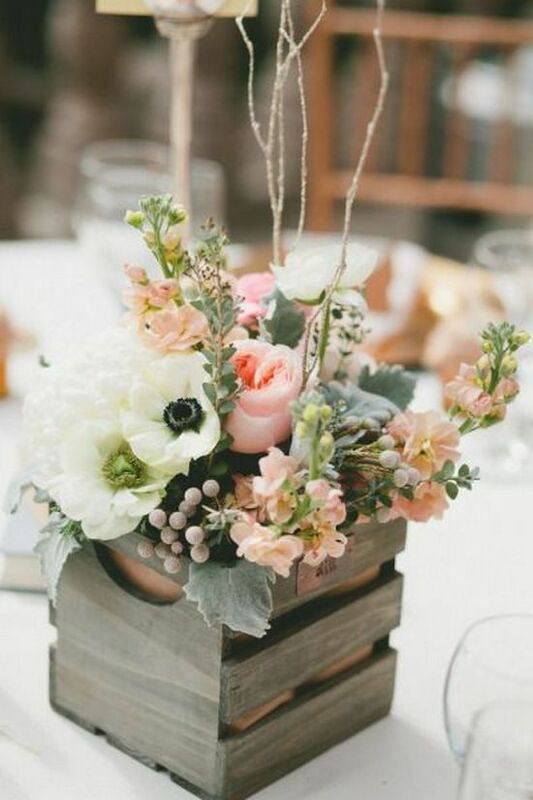 Place your vase or vases into the box and a lot of cool fresh blooms of your choice. 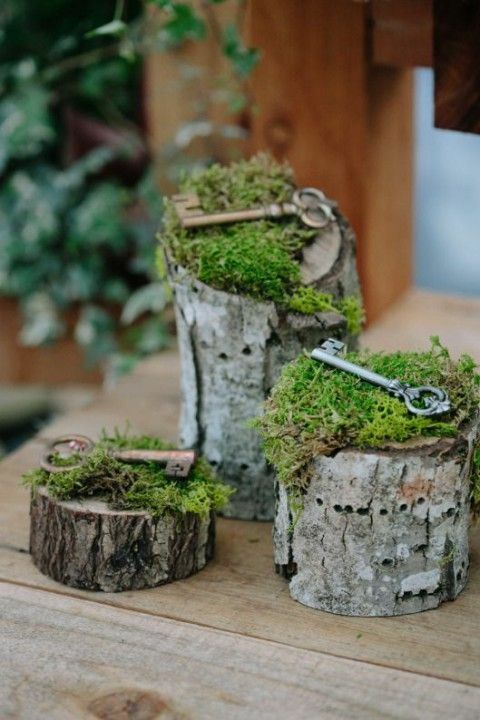 You can also add candle holders, vintage keys, moss, wood slices and so on – everything is up to you. 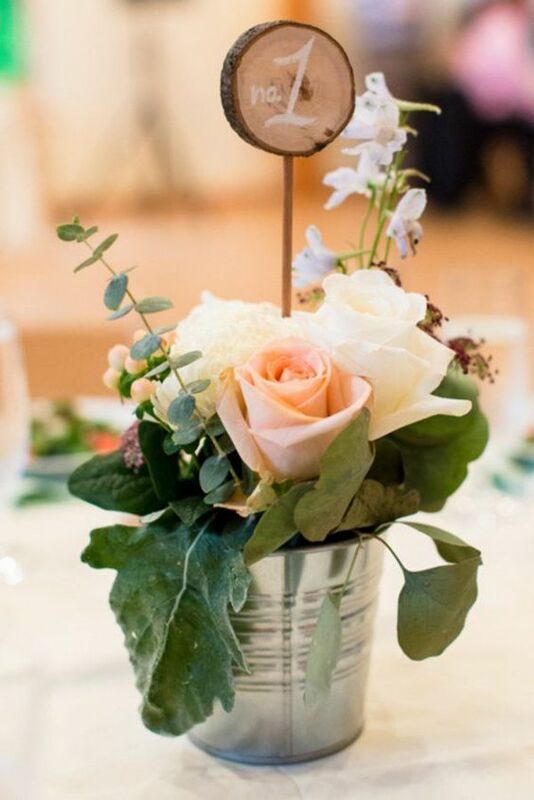 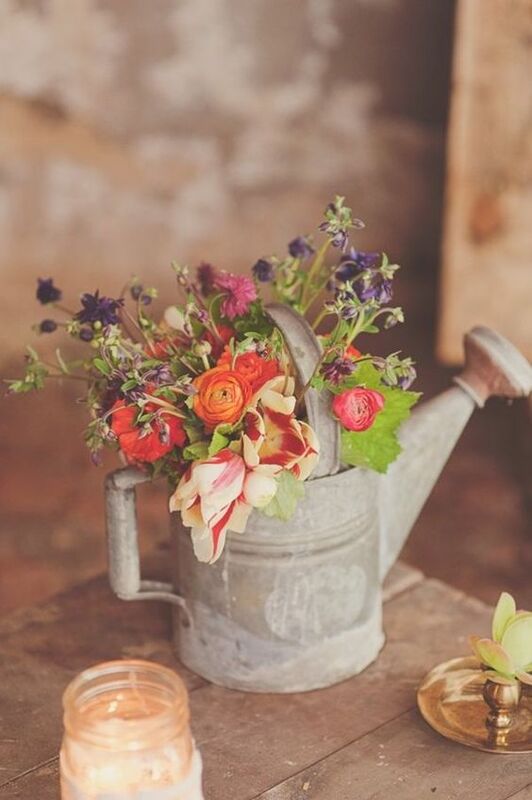 A galvanized bucket can be a very cool alternative to a usual vase. 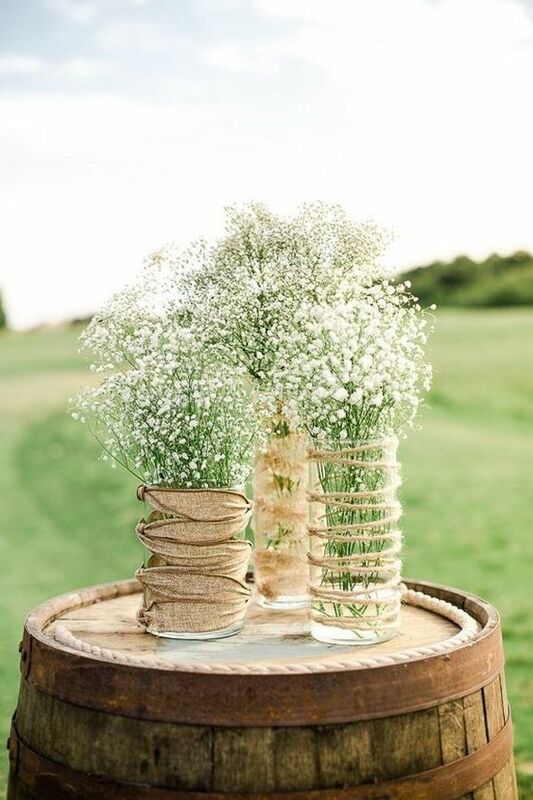 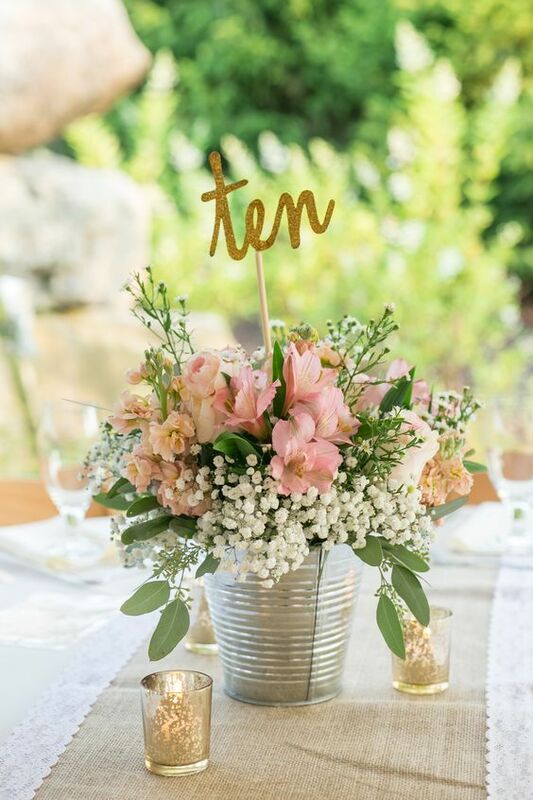 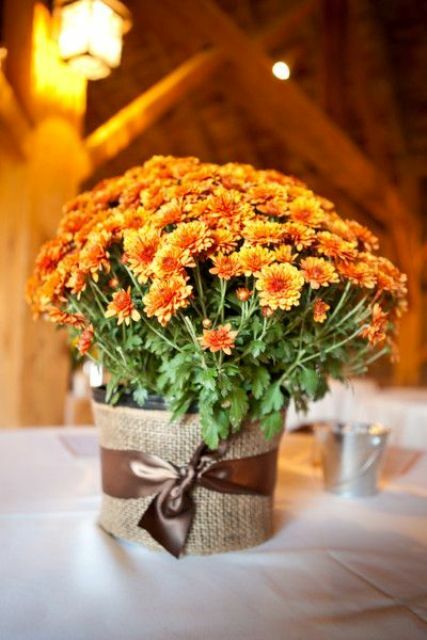 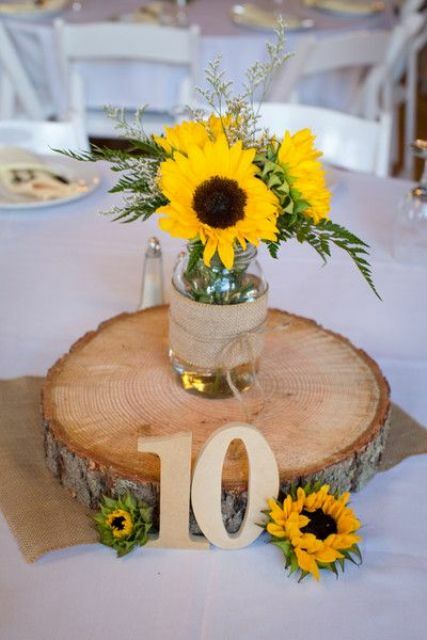 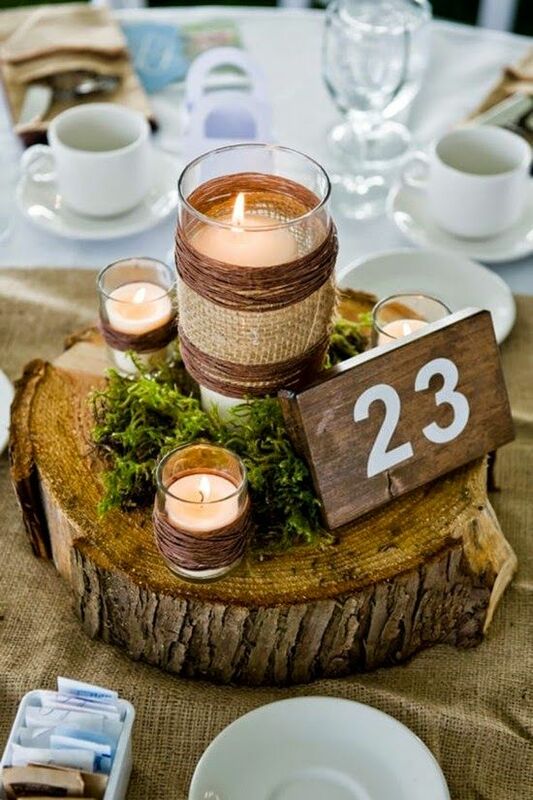 Just fill them with cool fresh flowers and add a wood burnt table number, and voila – a cool centerpiece is ready! 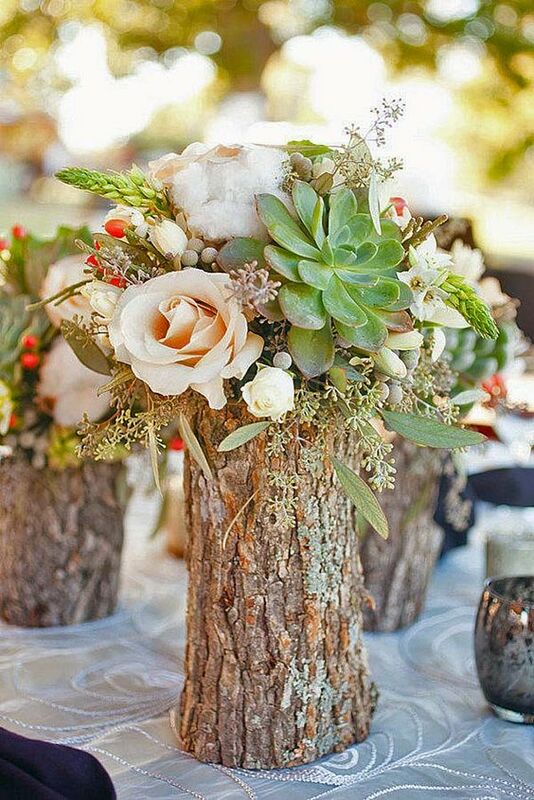 Floral centerpieces are the most popular ones, and you can compose them yourself without anybody’s help. 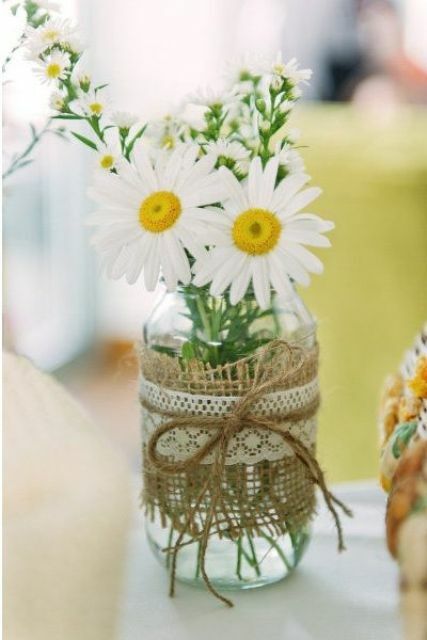 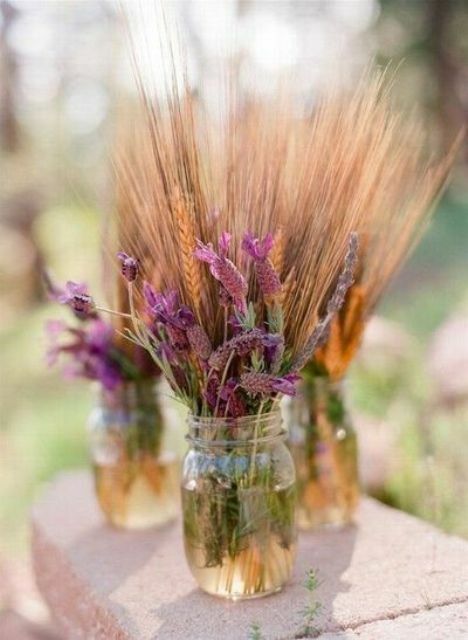 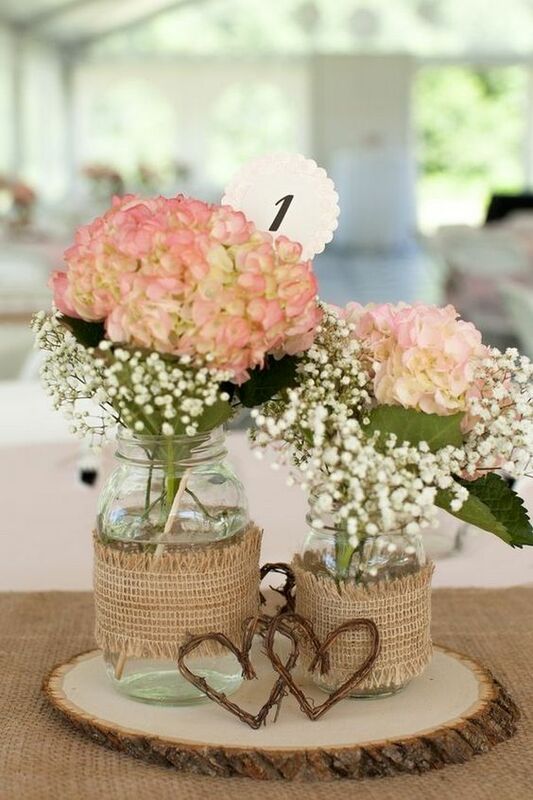 Choose the blooms you like and then to make a centerpiece using some mason jars, vases and glass jars, and you can wrap them with burlap, lace, twine and other rustic stuff. 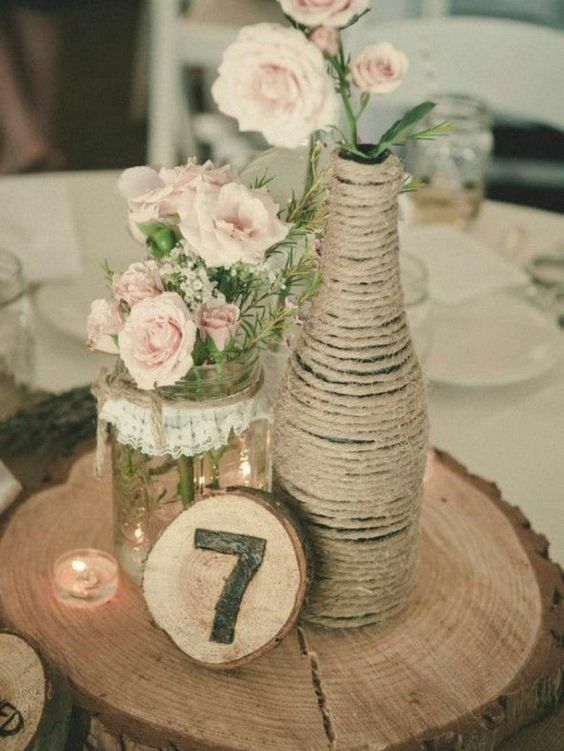 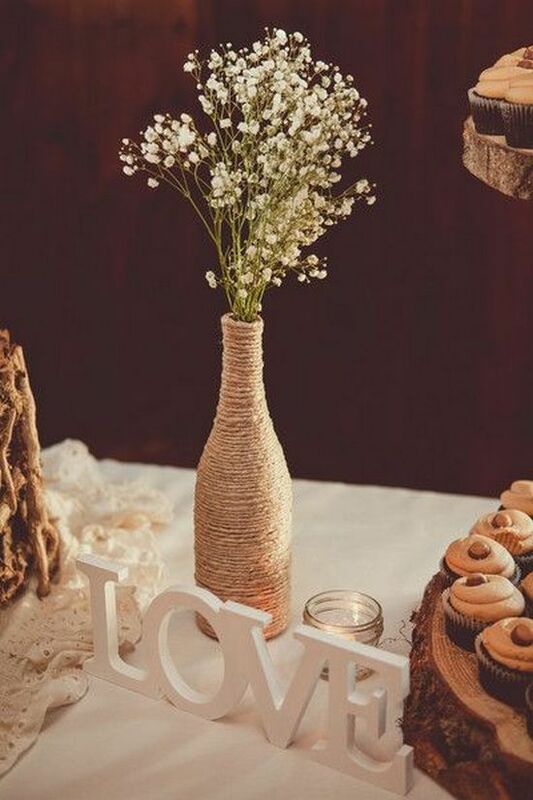 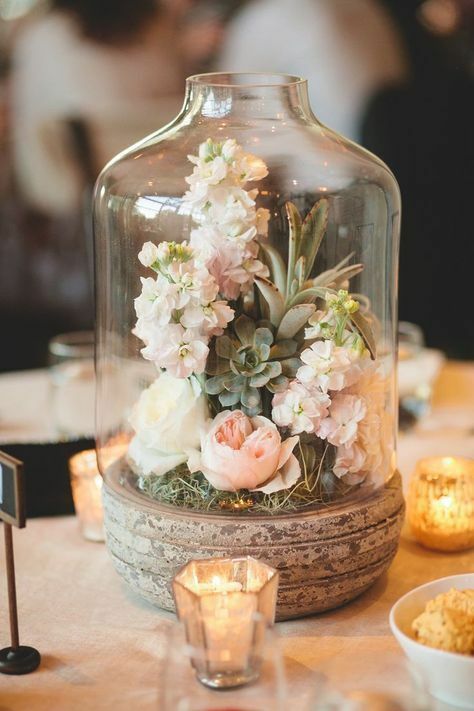 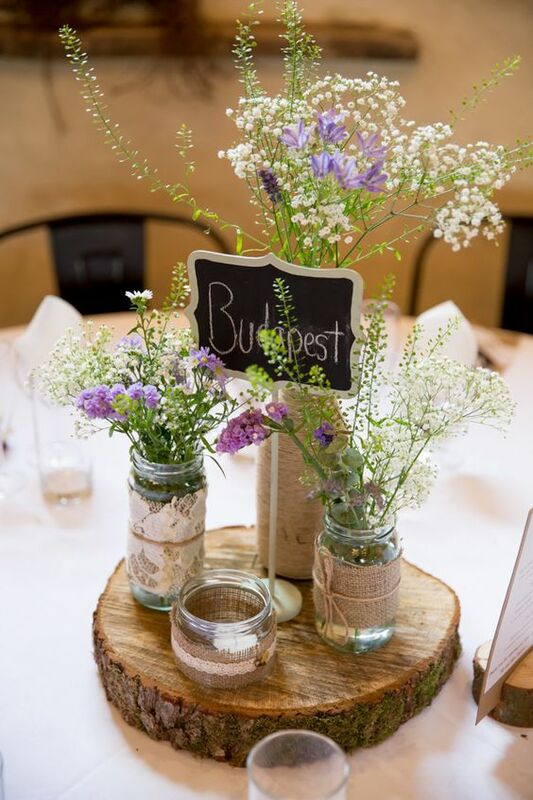 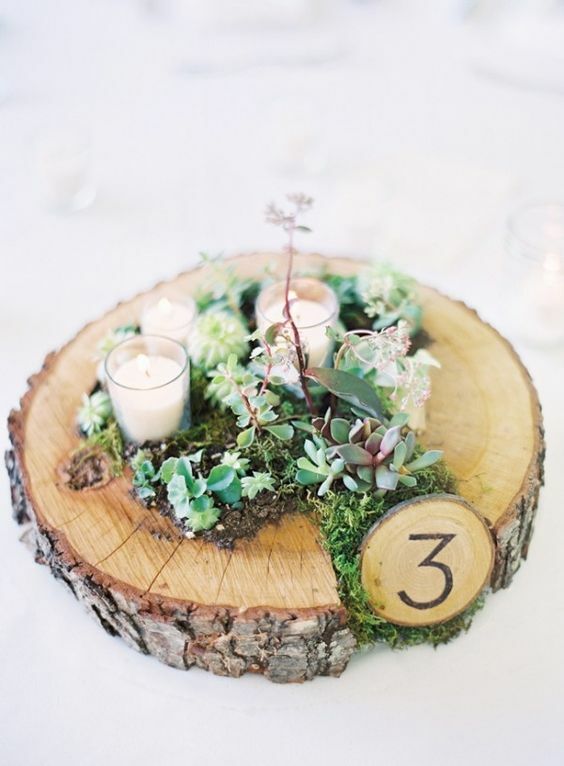 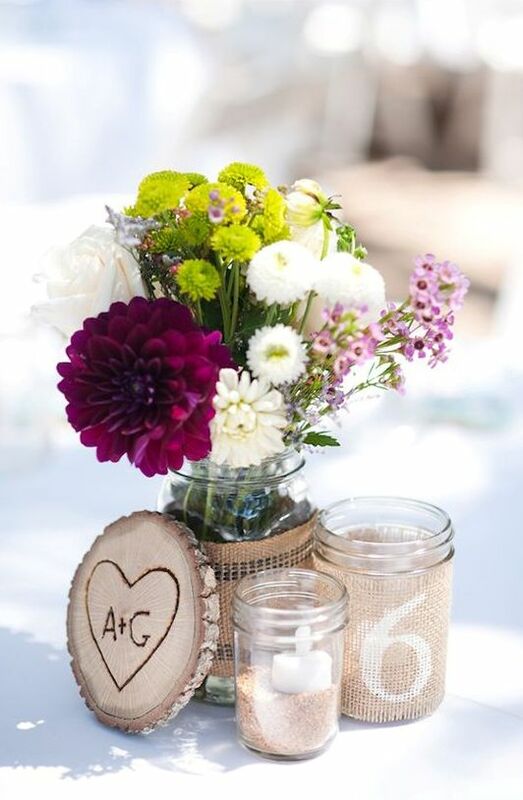 Place the jars and vases on a wood slice, add moss, vintage keys, frames, wood burnt table numbers and everything else that comes to your mind. 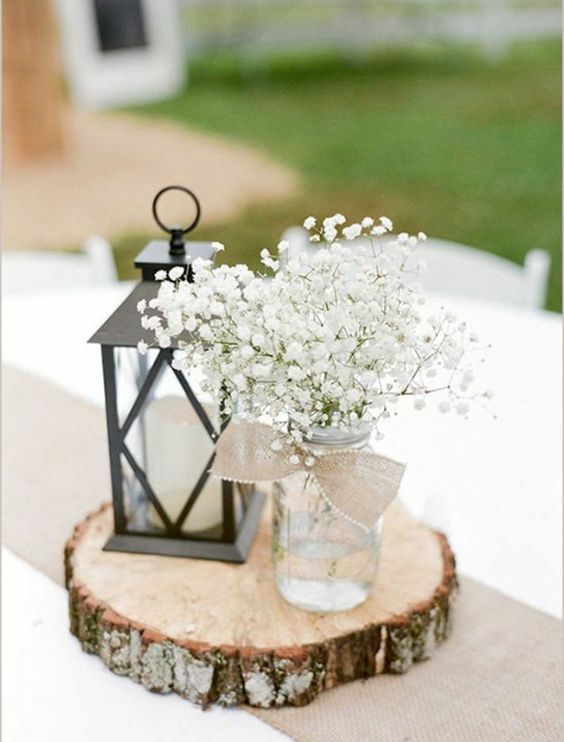 Lanterns can be styled in a rustic way: choose lanterns of the color you like and place them on a wood slice, add candles and flowers, mushrooms and all the rest that you like to create a cute rustic centerpieces. 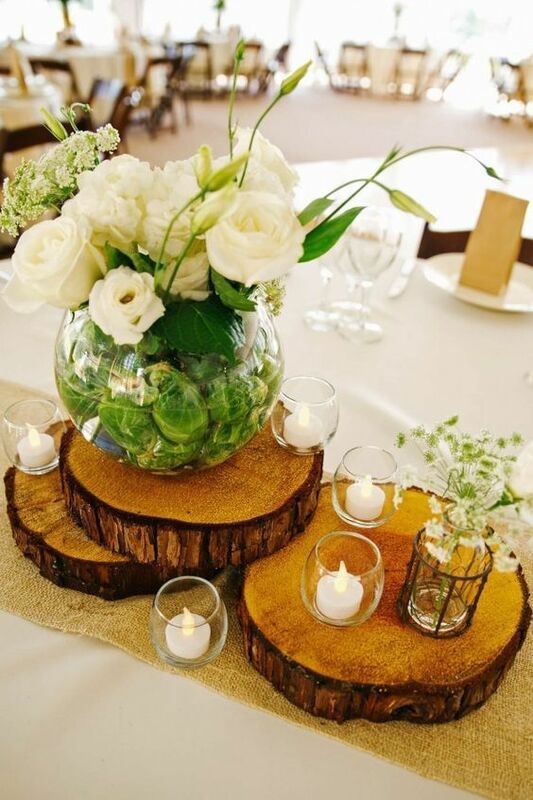 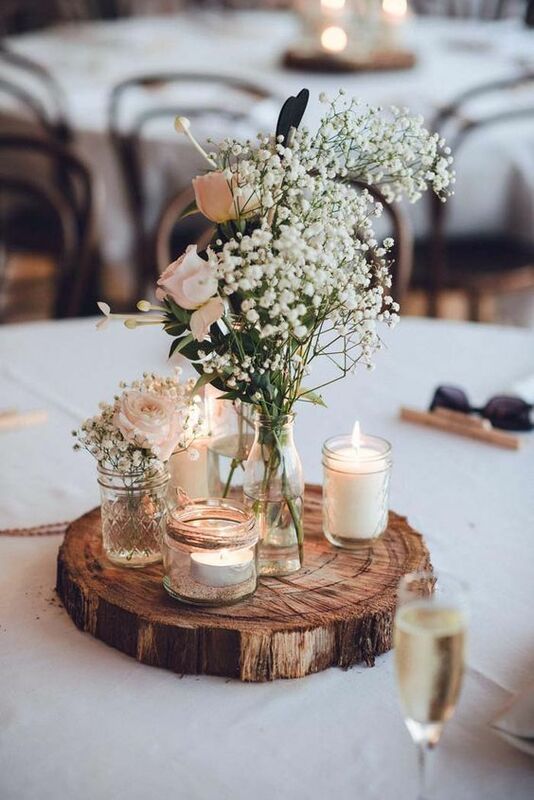 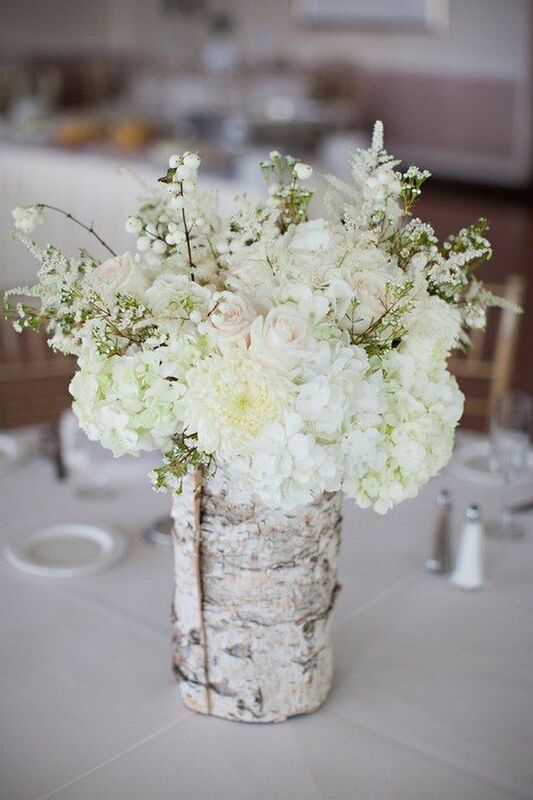 Wood logs can act as vases for fresh flowers, candle holders and as a base for all the rest that you want. 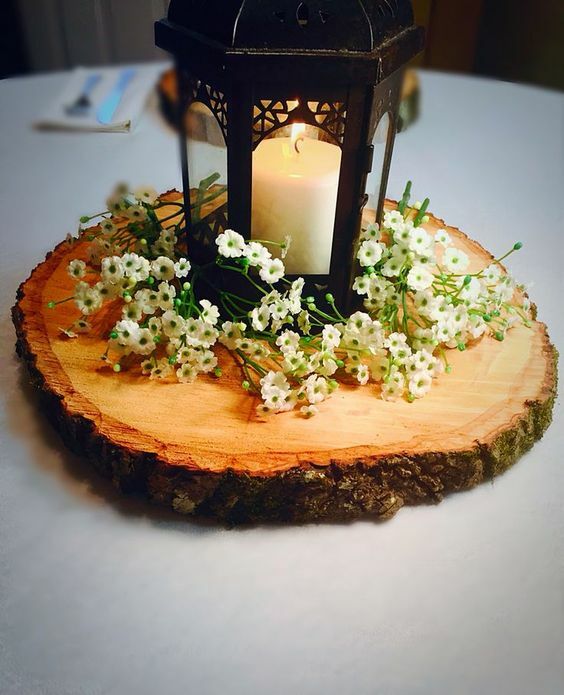 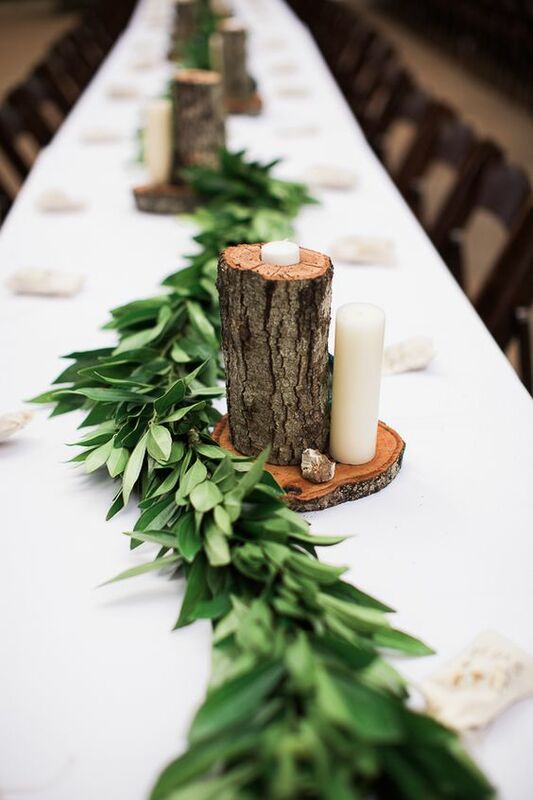 put some flowers and moss on a wooden slice, or style wood log candle holders with greenery garlands and so on – realize all the cutest ideas that you want!